Drones are most often used today for filming from a bird’s-eye view. However, there are other areas in which copters are involved, and their list is constantly expanding. The editors of PaySpace Magazine have examined the top 10 activity areas where the use of these pilotless vehicles can be applied. In our previous articles, we have already told you about the use of drones for the delivery of parcels and orders from online stores. Now we have added new ones, and, judging by their diversity, drones can already replace many modern professions. Such well-known Internet giants like Google and Facebook intend to use these aircraft to spread the Internet for all Earth dwellers. Google became the owner of the Titan Aerospace brand, which is one of the companies involved in the development of drones. The IT giant wanted, with the help of solar-powered drones, to provide internet access to the residents of the most inaccessible places on the planet. Facebook also had the idea of using solar-powered drones. At least, it was Mark Zuckerberg who wanted to acquire a company that developed solar-powered drones. A month after the statement of the social network founder, Google implemented this idea and bought Titan Aerospace. Therefore, now the IT giant needs to figure out how to equip these drones with more powerful transmitters, so that they can move for as long as possible. Today, there are many hard-to-reach places where people need help. In addition, hostilities continue in some countries, such as Syria. Therefore, it is important to deliver medical and other emergency supplies on time. Since cars and even helicopters cannot reach these regions, experts at MIT have developed special drones. The devices resemble mini-helicopters more than regular quadcopters. These drones can be controlled remotely. Moreover, transporting drugs by drones will be less expensive than using a helicopter or a car. As it turns out, drones can perfectly play the role of excavators, saving time, human effort, and in some cases even funds for ensuring the work of an entire archaeological expedition. For instance, in 2014, the GoPro quadcopter discovered a whole ancient settlement in Mexico. The device had a thermal imager attached, enabling it to detect cold areas under the ground. It was exactly in those places that archaeologists managed to find an ancient settlement. After such a successful event, people began to actively use drones in archaeological expeditions. 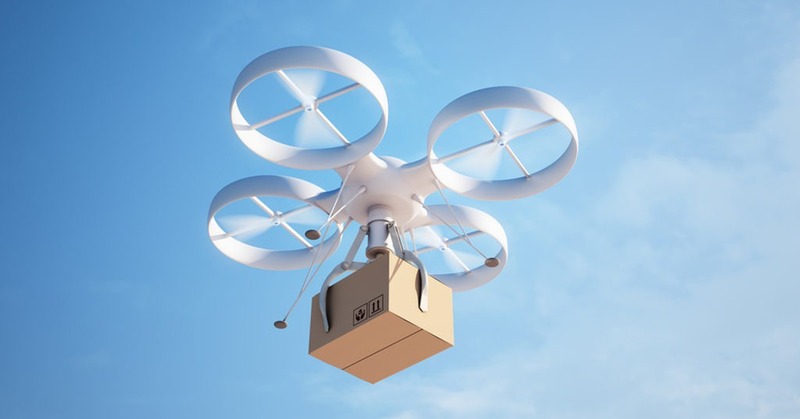 Today, there is a lot of news about the use of drones for delivering mail and parcels. In particular, Walmart, Amazon, and Alibaba have already submitted their projects for order delivery by drones. To fully implement this idea, it is still necessary to overcome legislative obstacles. After all, both in the USA and China there are strict rules regarding the use of drones. Such pilotless devices are used not only to move goods, but also to deliver pizza. One of the largest pizzerias, Dominos, presented its own drone DomiCopter, which was used to deliver pizza in the UK. Drones can replace not only couriers but also waiters. In one of Singapore’s catering establishments, they use pilotless vehicles Infinium Robotics to serve customers. People manage drones with the help of a special computer program, while the devices navigate in the restaurant space thanks to the built-in infrared sensors. In addition, each drone is equipped with several cameras, as well as special protective bar screens. One drone can carry up to two kilograms of food and drink. In the Yo Sushi London restaurant, drones are used as trays. Waiters need to move around less, they simply control the drone using the iPad application. However, this drone waiter called iTray is not yet working professionally enough. According to restaurant visitors, the device can still drop a plate or spill coffee. In many countries, there are the eternal problems of illegal migration, terrorism, and piracy. Solving these issues quickly is very difficult. Nevertheless, their number can be reduced through the use of drones. For example, in Australia, law enforcement officers use these flying devices as patrol vehicles which keep order on the beaches. And in Britain, a drone found the victim after the accident, thus, also helping the police. It was the camera with infrared sensors on the drone that showed a man who was injured in an accident lying on the side of the road. It turned out that the man was experiencing hypothermia, so he could not call for help. Thus, the drone saved a human life. Researchers at the Royal Technical University in Melbourne (Australia) have turned the Jogobot drone into a personal jogging assistant. The purpose of this development is to set the running rhythm. In this case, the device will always fly in front of the person, so that the runner does not have the unpleasant feeling of being followed. Another drone can be used as an opponent in running competitions. Many people had a situation when they did not know how to find a certain street or building. Imagine that instead of asking a passerby or navigating with your phone map, you can simply call a drone, which will show the way. Such a project already exists – it was developed specifically for the Massachusetts University of Technology. Winemakers of the French region of Bordeaux use pilotless aircraft in their trade. 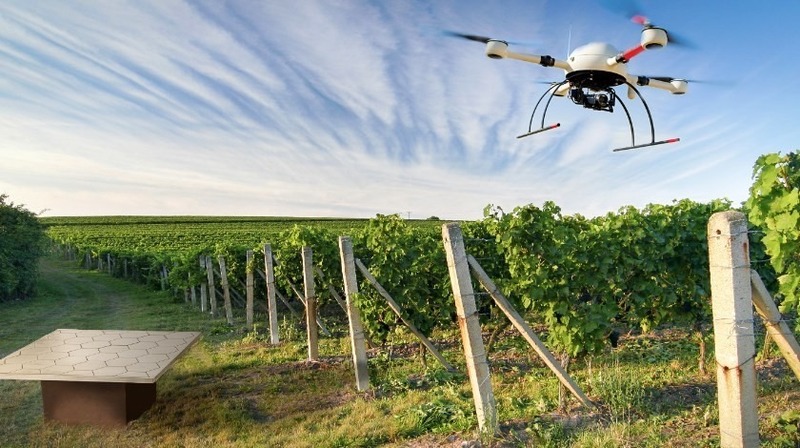 The drone flies over the vineyards and transmits video of the harvest state to farmers. This allows winemakers to prevent insect invasion. In addition, the farmer can find out about their vine condition: whether they need additional watering or fertiliser. Also, the drone has an infrared camera, which allows the farmer to determine the degree of grape maturity. Since drones can see everything from above, they can be useful to media staff. For example, at the University of Missouri, journalism students are taught a separate drone management course. As a result of training, they will be able to use pilotless vehicles to collect information. Other drones are popular with the paparazzi, who use these devices to get photos and videos of the personal lives of celebrities.